Recycled Concrete Slabs: excellent punching performance! This paper reports on the experimental assessment of the punching shear behaviour of reinforced recycled concrete slabs characterized by fine natural aggregates and coarse recycled aggregates. In particular, the latter were obtained only from demolished concrete. The experimental campaign has been carried out on 12 specimens. Moreover, three reinforced natural aggregate concrete slabs have been casted and tested as benchmarks. Four replacement percentages (30, 50, 80 and 100%) of coarse recycled aggregates in place of coarse natural aggregates have been considered. 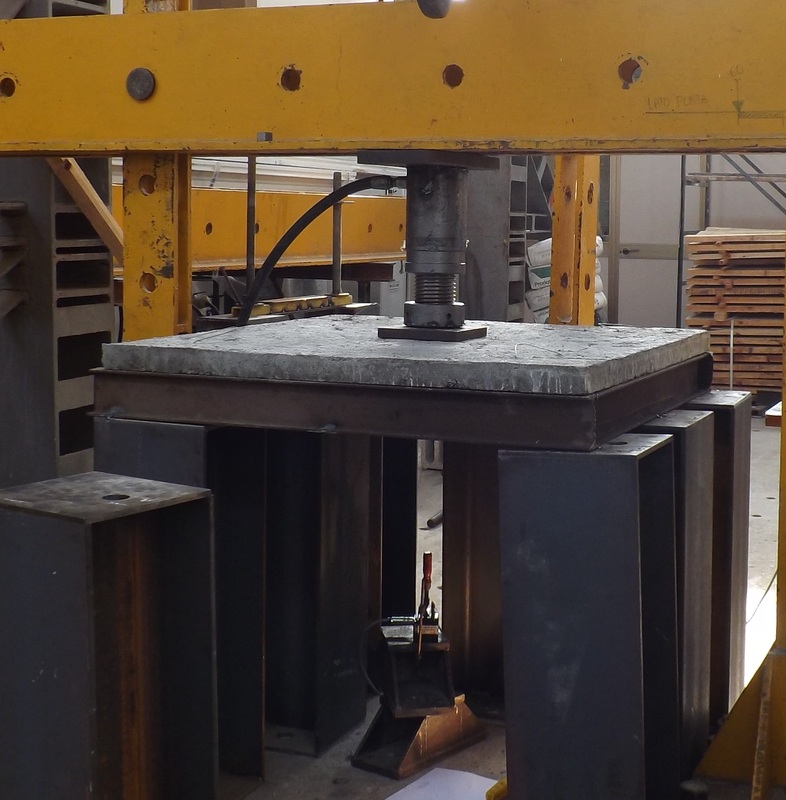 The punching shear behaviour of simply supported reinforced recycled concrete slabs under a central patch load has been investigated by means of failure patterns, ultimate loads and deflection–load curves. Moreover, comparisons and a review of international code models for slabs under punching shear have been developed. The results show a reduction in recycled concrete mechanical performance with increasing replacement percentage of natural aggregate with coarse recycled aggregates. However, the reduced recycled concrete performance does not translate directly to the punching shear strength of reinforced recycled concrete slabs; indeed, the punching forces of all recycled concrete slabs tested are very similar to those of slabs realized with ordinary reinforced concrete. Actually, although the theoretical models on the punching shear are based on the characteristics of the concrete, this study indicates that the reinforcement role is of paramount relevance.